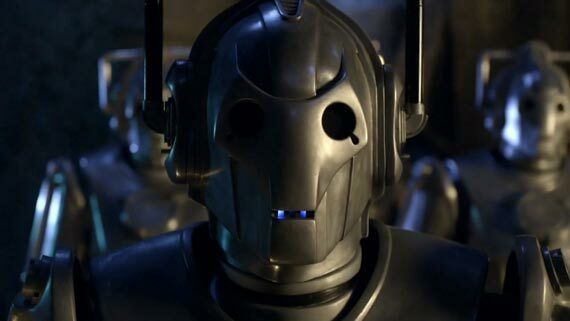 Things are wrapping up to quite a big bang with the finale almost in sight for Series 5 of Doctor Who. In fact, the 13th episode is called 'The Big Bang'. 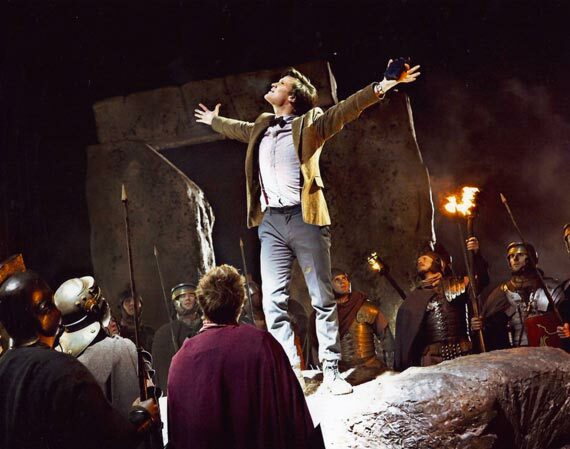 This being part two and final episode of the season and the previous 12th episode properly named The Pandorica Opens (no surprises really with the name). 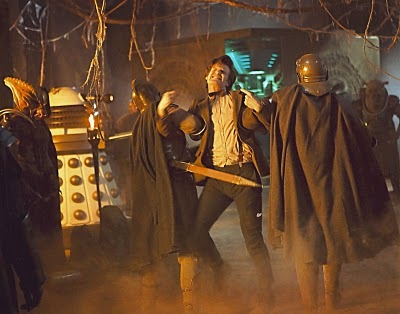 Back in February it was reported that the season's finale would feature a whole host of the Doctor’s deadliest enemies. Well, it looks like Whovians will not be disappointed. The embargoed publicity photos for the episodes confirm the monster line-up as; Cybus Cybermen with Cyberleader; Black-robed pilot fish; the new Daleks (red, white, and yellow flavours); Sycorax; Silurians; Judoon; the Hoix; Torchwood’s Weevils and Blowfish; and an Uvodni from The Sarah Jane Adventures. Not pictured but also apparently appearing are the Sontarans and Autons. Let's have us a closer look . . The Pandorica Opens will be the twelfth episode, and first in a dramatic two-part story of Series 5 and is written by Steven Moffat. The Big Bang is the thirteenth episode, and second in a dramatic two-part story of Series 5. Some rumours about the origin . . .
Pandora was an ancient female Time Lord that existed early in Gallifreyan history and was the first female President of her people. According to legend, she sought to overthrow the traditions of Rassilon, to lead Gallifrey to war and attempted to use the power of time travel to reshape the Web of Time to suit her own design. She was also known to have taken an offworld bodyguard who killed all those that opposed Pandora's will. To this end she declared herself Imperiatrix. In time, however, the High Council managed to convince the bodyguard to betray her master on the condition that the Time Lords would help improve her people's livelihood. However, once Pandora was betrayed, the High Council took the bodyguard back to her planet where she was placed in an eternal 6.8 second time loop from which there was no escape. The captured Pandora was dispersed and executed in such a thorough manner in that she never existed in the first place. This was why she existed only in legends and not in history. The dispersal chamber itself was located in the old Capitol where it was destroyed in Gallifrey's civil war. The new Capitol was built over the ruins which became the Vaults. The legends said that Pandora's dying screams still could be heard in the Vaults where she eternally cries out for vengeance. 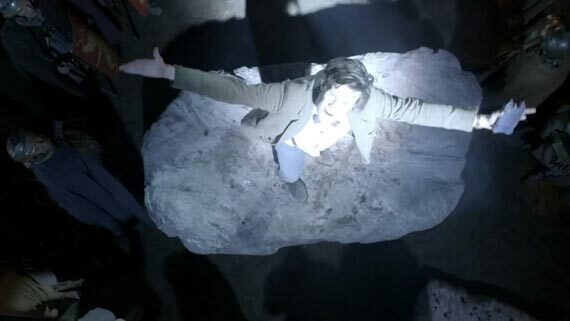 i had an idea that everything sucked up by the crack will be released when the pandorica opens, including all the big baddies that have been sucked up. like a pandora's box opening. not sure how the big bang of the tardis fits into all this.